Many people do not understand the legal system or possess only a cursory knowledge of how courts conduct their business. Therefore, if you have been subpoenaed to give testimony before a federal or state grand jury, it is imperative that you consult with an experienced attorney to understand what to expect. 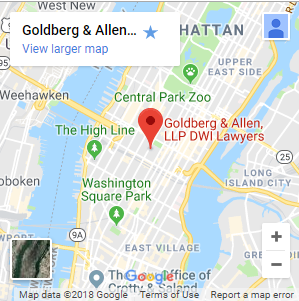 If you need responsive and attentive legal representation to understand what you may be facing in a grand jury proceeding, you should contact us at Goldberg & Allen to discuss your concerns in detail. We provide a wealth of trial experience and in-depth legal knowledge for clients throughout the five boroughs of New York City. A grand jury investigation is most often used in the prosecution of high-level white collar crimes, such as insurance fraud or securities fraud. A prosecutor uses a grand jury to gather more specific information and documentary evidence to build a case against a particular target. 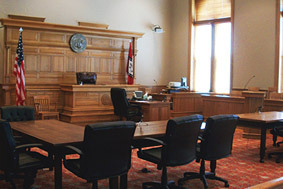 Unlike a traditional police investigation, the grand jury may subpoena specific witnesses to give testimony before the jury, sometimes with supporting documentary evidence. Being a witness before a grand jury is a precarious situation, because you could become a target of the prosecution depending on the evidence you present. If you have been summoned as a witness before a grand jury, you must take steps to protect your rights and interests. We have decades of experience handling complex criminal cases on both sides of the judicial system, having achieved high-ranking authority in the Kings County District Attorney’s Office before entering private defense practice in 1996. We will carefully review the documents requested by the grand jury and go over your testimony with you to minimize your exposure to criminal conduct or grand jury indictment. Our New York City grand jury proceedings lawyers have achieved many successful outcomes on behalf of clients involved in a variety of major state and federal criminal prosecutions. To speak with Jay K. Goldberg or Gerald Allen about the potential consequences of a grand jury proceeding, contact us for a free confidential consultation. We will give you an honest appraisal of your options and take your priorities seriously. Call 212-766-3366.